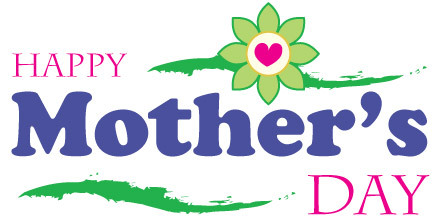 Let’s put a stop to this idea of one day a year that we show our appreciation to Mothers. Don’t our Mothers deserve to be loved and appreciated every day? Isn’t this what they showed to us every day growing up? I reflect back to my Mother, and what an incredible woman she was. Her patience, gentleness, soft speech, and unconditional love were always present. From the moment I was born until the day she died, every day was “Son’s Day” as far as my Mom was concerned. Mom was never too busy for me, always understanding, and never critical. But do you know who was often too busy for her? Yes, I was too busy. “I miss you too Mom, I have just been so busy with work”. “I want to come visit you Mom, but I’m having a lot of troubles with my Family”. “I’ll try to stop by next weekend Mom”. “I’ll call you later this week Mom”. I was not wise enough when she was alive to see that Mothers Day was to be celebrated every day. I took for granted this unconditional love, and this too my Mom accepted. Without expectation or condemnation, my Mom took whatever time and attention I would give her. Though she may have been Roman Catholic by label, she had the nature of a true Buddha. Loving, kind, compassionate, accepting, and so very gentle. Now I am also aware that not everyone had a Mother like this. For some, there may be a lot of anger and hurt from their childhood. But just like Bhikkhu Dhammagawesi discussed yesterday, you need to be aware that at some point, your Mother had so much love and good intention for you. Perhaps it was in the womb that she would rub her belly and speak to you. Telling you how much she loved you and how excited she was that you were coming into the World. She wanted the very best for you. She wanted you to know a better life than she had. Perhaps she failed, but you can be thankful and appreciate this love and intention she had for you. Thankful that she gave life to you. You can celebrate Mothers Day for your Mother every day also. You would not be here this moment were it not for her giving birth to you. Forgive her, accept her, and celebrate her every day. So let’s stop the idea of Mothers Day happening once a year, and make this an event that we cherish and celebrate each and every day. I cannot go back and spend time with my Mother, but if your Mom is alive, you can spend time with her now. you can pick up the phone and tell her you love her. Do this today, and do this tomorrow. If your Mom is gone, celebrate her by showing that Mothers love to everyone in your life. Unconditional, excepting, nourishing love. In this way you honor not only your Mother, but all Mothers. A Mothers love How to love yourself We’re throwing a party for you!